Girl, this maxi dress is fire. 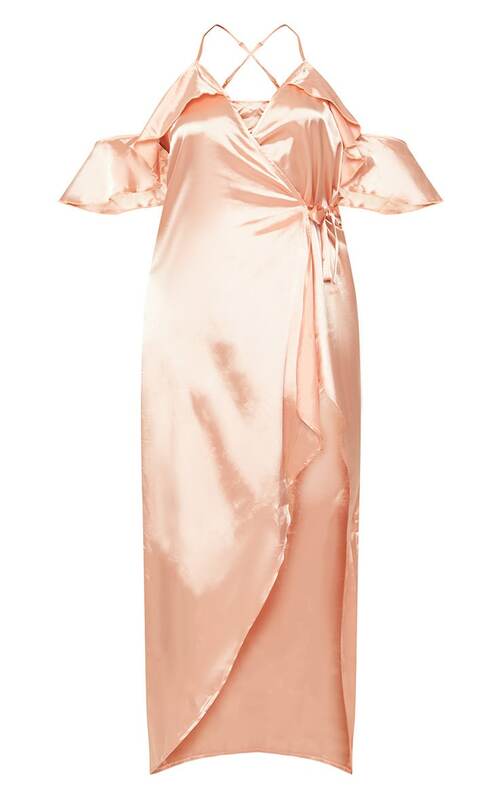 Featuring a peach satin material, frill detail, wrap over style and thigh split, this maxi is all kinds of goals. Team with simple strappy white heels and matching accessories to have all eyes on you.